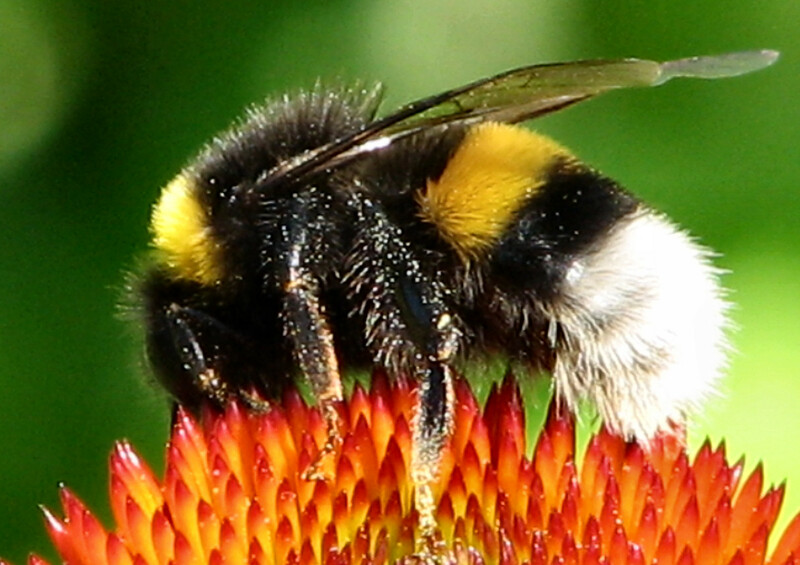 This July, the European Commission authorised another pesticide with known harmful effects for bees. Already banned in the United States, the chemical sulfoxaflor, produced by Dow AgroSciences, is now licenced in the European Union, where standards are usually stricter. It appeared a typical scenario in which the European institutions would follow the usual formula: indignation and condemnation from the Greens, followed by the left, and dismissal of the argument from the right on the grounds that the evidence for a ban is inconclusive. Meanwhile, the Commission would try to push the controversy aside by suspending the authorisation while another study is carried out. But as dangerous as it is for bees, sulfoxaflor has not yet aroused the kind of passion that could have been expected from the European Parliament. On Tuesday 13 October, the Parliament’s Environment Committee, usually very tough on these issues, even rejected a proposal to stop the pesticide’s authorisation by 31 votes to 18, with 6 abstentions. The reason is simple: the amendment in question was submitted by Sylvie Goddyn, a member of Marine Le Pen’s National Front (NF). “We plan to propose another amendment on sulfoxaflor very soon. But it must be politically coherent. We cannot support people that want to destroy Europe. All the Socialist & Democrat (S&D) group members of the Environment Committee voted against it,” the French Socialist MEP Guillaume Balas explained. The sulfoxaflor episode is far from over. But it has already caused serious soul-searching in the European Parliament. Should other politicians vote down the FN’s proposals on principle, even if they share the same opinion? Or should they work with the far right Europe of Nations and Freedom (ENF) group to reach compromises that satisfy everyone? Opinion among MEPs is split, and many remain undecided. “In any case, it is a difficult question,” a source from the European Parliament commented. The formation of the ENF group in June this year shifted the balance of power in the European Parliament, maximising the strength of the far right. 39 MEPs currently sit in the group, which is led by the French National Front. Membership of a political group brings certain prerogatives, like more funding and organisational support, the opportunity to be a rapporteur or co-rapporteur, propose resolutions and amendments and put questions to the Council or Commission. For the French Socialists, the rules of engagement are crystal clear: do not vote for any amendment proposed by the NF, or negotiate the slightest compromise. “It’s a political act. Of course we can share opinions on certain issues. But for us it is impossible to vote for the proposals of a nationalist party that uses European money and tools to promote its anti-European argument and work for the dissolution of the EU. We would be legitimising them,” said Guillaume Balas. The Socialist delegation also criticised the National Front’s “11th hour environmentalism”. Before Tuesday’s amendment, Sylvie Goddyn had often made statements opposing the carbon market, for example, which she blamed for creating the “right to pollute”. On the request of the French delegation, the S&D group is working on a common position to ensure that none of its members supports any amendment from the ENF group. The conservative European People’s Party (EPP) is examining a similar position: French Republican MEPs Alain Lamassoure and Françoise Grossetête plan to table a similar motion. But convincing all 217 members of the European Parliament’s biggest political bloc to shun the NF may prove difficult. One of the obvious inconsistencies in the French EPP delegation is the MEP Nadine Morano. How long will the group remain credible while its members are free to assert that France is a white nation, but not to support an amendment on bees proposed by the National Front? For now, this question remains unanswered. The controversy stirred up by the issue of amendments has brought the ENL a step closer to one of its main objectives: dividing the left. Opinion is still broadly split among radical left and Green MEPs. The Greens have adopted a general guideline that does not stop its members from voting for ENF amendments, but forbids any other form of cooperation with the group. Along with the radical left GUE/NGL and the Eurosceptic EFDD groups, they were the only ones to vote in favour of the NF proposal on sulfoxaflor. Contacted by EURACTIV, the ENF group and MEP Sylvie Goddyn declined to comment. On the evening of 15 June, she announced that she had finally fulfilled the criteria to form a group in the European Parliament. It says everything you need to know about the EU when they will put their own hatred of democracy above the very basis of our food supply.